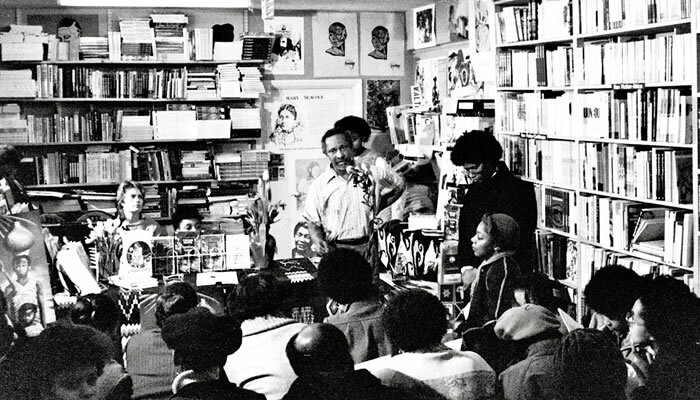 Personal Insight: Dr Michael McMillan reflects on his role in curating the Walter Rodney Bookshop. McMillan is a writer, playwright, fine artist and curator of Caribbean heritage and his work often explores migrant narratives and identity. Previous installations such as The West Indian Front Room (2005 – 06), The Living Room of Migrants in the Netherlands (2007 – 2008) and A Living Room Surrounded by Salt (2008) consider the domestic manifestations of race, aesthetic and identity within a physical environment, reanimating the artefacts and experiences housed within them. As a second generation Caribbean migrant descendent, born and educated in the UK, I, like many of my peers, was searching for an identity in the culturally and politically charged environment of British society and the African diaspora. We were here to stay and many, including myself, would eventually affirm being Black British, amongst other identities. Personally, part of this journey was searching out spaces where black arts and culture (theatre, literature, music, dance, poetry, and film) were being creatively expressed. 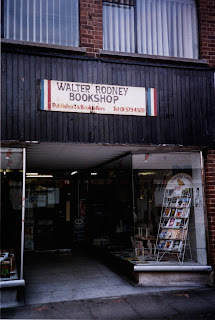 Amongst the places that I often visited were bookshops in London such as New Beacon, Grassroots, Headstart, Soma, Centerprise, Sabarr and the Walter Rodney Bookshop. It was a space where I lost myself discovering books that reflected my experience in the diaspora and where I met others of a similar mind-set and spirit. I also remember Jessica and Eric Huntley as committed stalwarts of the cultural revolution taking place at that moment. 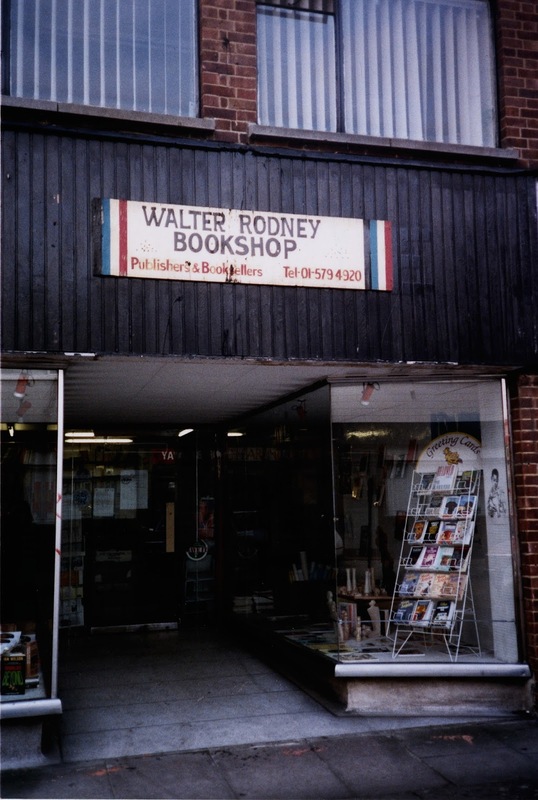 Therefore, when Colin Prescod and Margaret Andrews approached me from FHALMA to recreate the Walter Rodney Bookshop installation, I relished the opportunity to revisit a seminal moment in my life. An intensive research process soon began. I immersed myself in the Huntley Archive at London Metropolitan Archives (LMA), meticulously collected by Jessica and Eric themselves. The experience has been one of discovery, rediscovery and revelation. This informed the construction of a narrative, which will be communicated through the interactive and multi-media material culture of the Walter Rodney Bookshop. This has also affirmed the intrinsic importance of the archive in black diasporic histories, whose cultural and political experience has often been misrepresented. Having curated The West Indian Front Room (Geffrye Museum 2005-06), I am interested in the aesthetics of the black diasporic domestic interior and popular culture of the 1970s. Like all good things, Bogle L’Ouverture Publications and the Bookshop began in Jessica and Eric Huntley’s front room. Though they eventually moved into commercial premises, the sense of home pervaded where writers, audiences, readers and the community engaged in a creative yet informal atmosphere. This was radical, this was revolutionary and this still has resonance today. Creativity is about responding to limitations and it has been a pleasure for me to consider, design, source materials and dress the installation. Curating, like all creative practices, is collaborative and the process has been a team effort with FHALMA as commissioners, LMA providing source materials and the Guildhall Art Gallery housing No Colour Bar exhibition of which the installation is key element. As a free-lance practitioner, it is often a challenging working within different organisational cultures and operational structures, but it is as a learning experience, collaborating and working with practitioners from diverse specialisms. One of my aspirations as curator is that visitors engage with the Huntley Archive, not as a collection of inanimate things, but a living force mediated by the spirit of Jessica and Eric Huntley. I hope that through their experience, visitors go home and relook at their collections of photographs, letters and documents in suitcases, boxes, lofts, and cupboards. They should also be curious and quiz their elders and begin to value them as living archives as part of the rich tapestry of the black British and diasporic experience.